Course Website: Official Website - Visit Mountain Shadows Resort (Short)'s official website by clicking on the link provided. 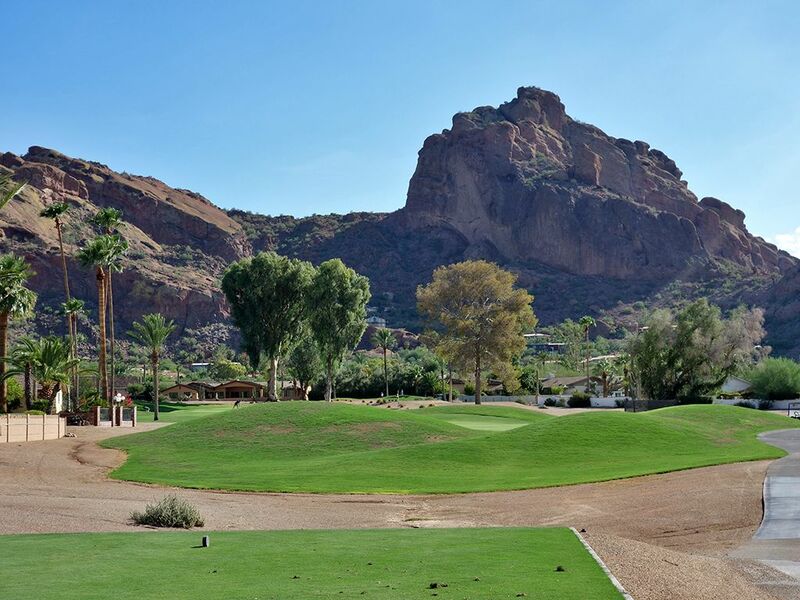 Accolades: Ranked 33rd in Arizona on Golf Course Gurus' Best in State list. 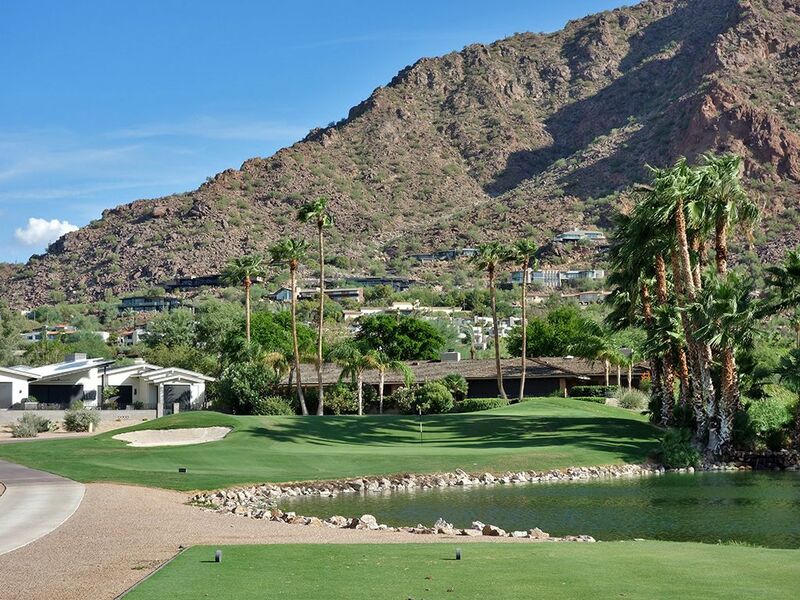 What to Expect: Mountain Shadows is an upscale resort with a modest 18 hole par three course. The layout is carved through a residential development and is highlighted by the mountain backdrops and fun play. The opening six holes play on the outside edge of the development before coming into the middle of it for the next six holes and getting back out on the perimeter for the final half dozen holes. The 13th and 14th holes feature an interesting routing as the share the same green but are played from opposite tee boxes and requires players to "double back" after playing the 14th. I'm a big fan of Biarritz holes and was pretty disappointed with Forrest Richardson's version of it on the 4th hole as the green is entirely too small to get the true effect of the design and ends up being something I'd expect to find on a miniature golf course. 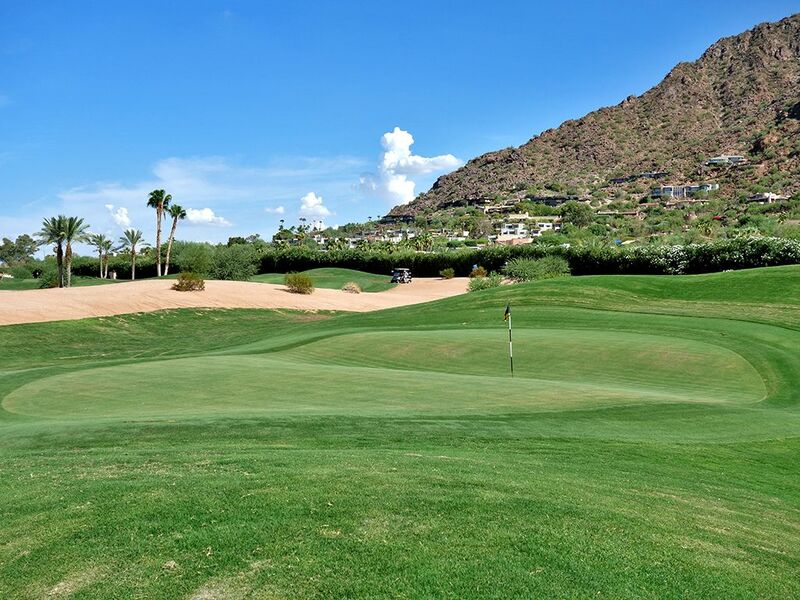 The conditioning of the TifDwarf greens were pretty poor which leads to bumpy and inconsistent rolls, but perhaps a stronger effort is made in the winter time then in the summer when I played it since that is the season that Arizona attracts the most play. The course stays plenty busy on the weeks with millennials coming out for a quick round where they can enjoy a casual game and cold drink. The service and quality of the resort, the rooms, and food is absolutely top notch and highly recommended. 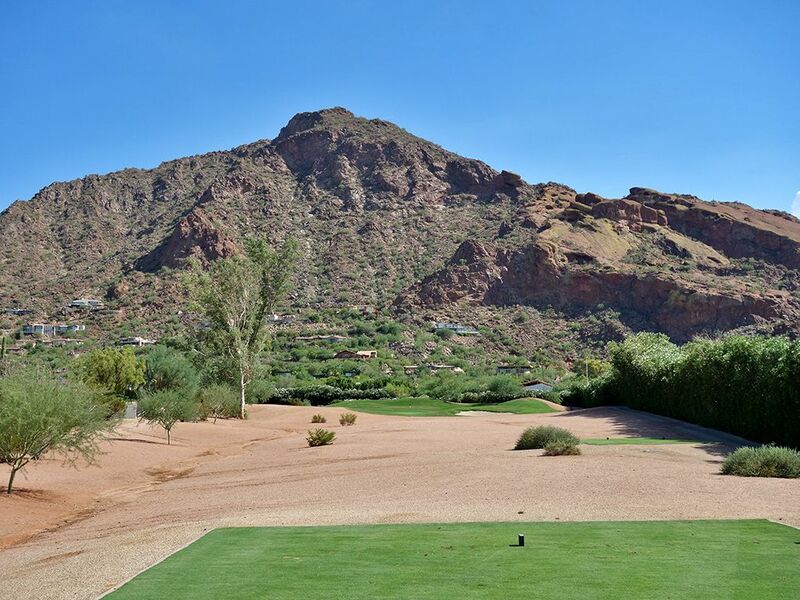 But from a golf perspective, the Short course at Mountain Shadows should be saved for a time to settle some bets or to play a stress free round with your spouse. 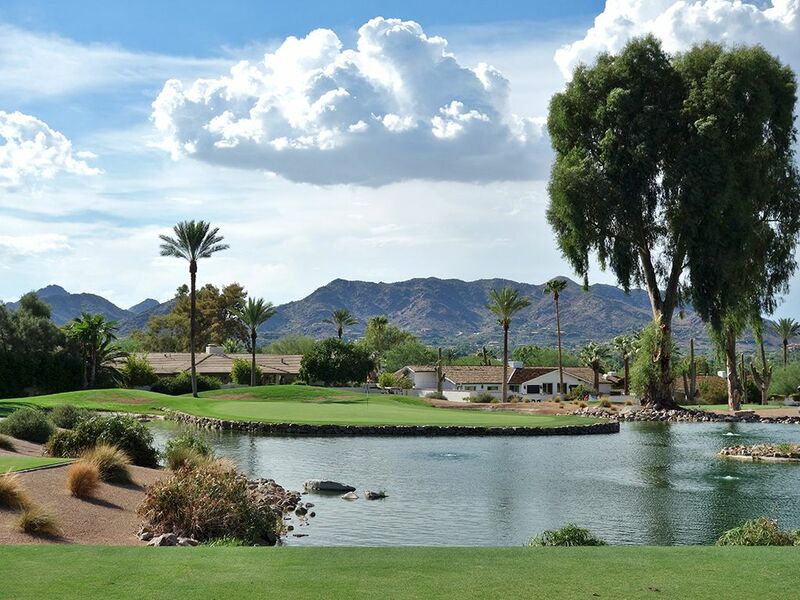 Signature Hole: 7th (Jutty) Hole – 75 Yard Par 3 – As oasis in the desert, the 7th isn't a mirage with its dazzling water features and palm trees. This virtual island green is as gorgeous as it is fun to play. Aim for the middle of the green to take the trouble out of play and see if you can card a birdie. Best Par 3: 10th (Punchbowl) Hole – 100 Yards – Always a favorite design of mine, the Punchbowl green offers forgiveness on the approach and anticipation of the result with a blind landing area. No matter where the flag is, aim for the center of the green and if you happen to miss your target there is a decent chance you will get a favorable kick off one of the bowl edges and end up in good shape. Birdie Time: 12th (Oasis) Hole – 84 Yard Par 3 – The most fun hole on the course, the 12th offers a mega backstop to play off when the pin is set in the front third of the green. Throw a ball into the backstop and let the ball roll; holes in one can occur here more frequently than any other hole with the pin up front. Bogey Beware: 4th (Biarritz) Hole – 193 Yard Par 3 – Normally I LOVE Biarritz holes, but this one left me wanting more. The size of the green is a micro version of most versions and unfortunately doesn't translate well. The pin can actually be found in the bottom of the swell that Biarritz holes are so well known for which made me wonder if I need to tee off through a clown's mouth first. At 193 yards it is the longest hole on the course and the various pin placements can be absolutely brutal to try and save par on if you miss the green. I really wanted to love this hole, but unfortunately it can only be highlighted in the review as a play to anticipate scoring poorly on.